AS the old saying goes “Sunlight is said to be the best of disinfectants“. One man who has been tireless and paid-less (sic) in the pursuit of exposing the blatant and unequivocal global temperature data fraud, executed by taxpayer funded government scientific agencies worldwide, has been Tony Heller aka Steve Goddard. 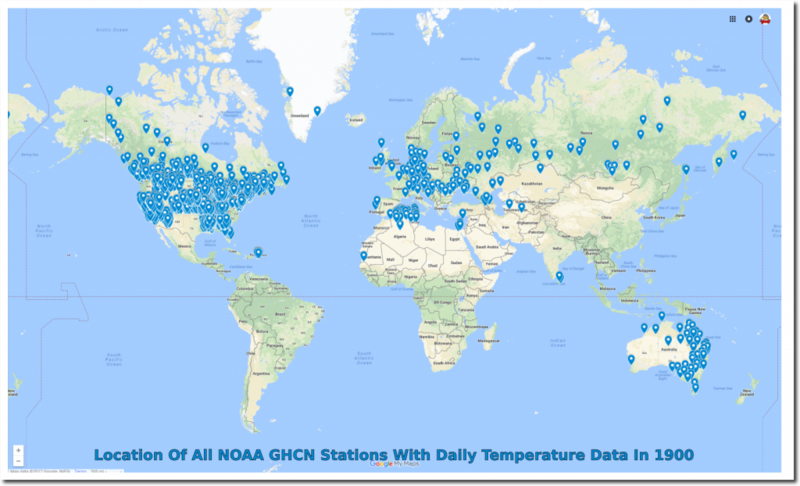 THERE are literally thousands upon thousands of mind-blowing examples of temperature data manipulation/fraud carried out in-plain-sight by climate activist agencies namely – NOAA, NASA, BoM, Met Office UK – who happen to be the literal gate-keepers of global temperature. They do this simply to make you believe that the climate is warming catastrophically thanks to your carbon dioxide (energy) emissions. THE blink giff included in this post is really all one needs to know about how climate scientists literally “change the data to fit the theory” – a quote linked to Hungarian Marxist Georg Lukacs in his ‘Tactics and Ethics’ (1923) though often associated with Albert Einstein as a non-literal quip. 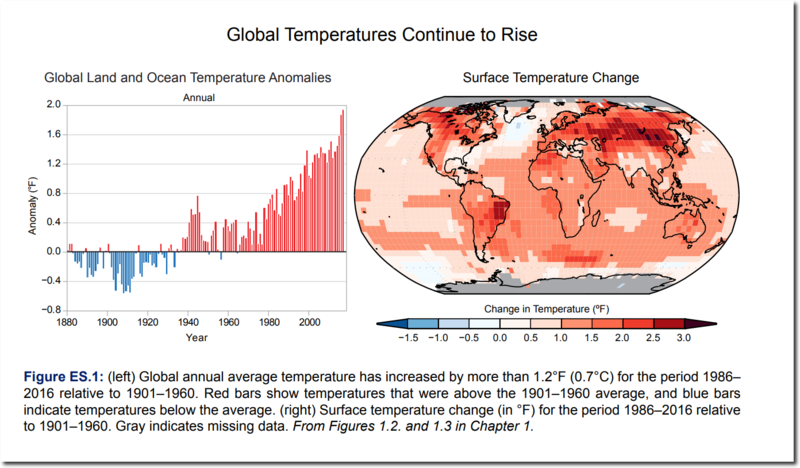 OTHER than driving the climate scare and maintaining taxpayer funding to the tune of $Trillions worldwide, hysterical claims of the “hottest year, month, day ever” tell us far more about global warming climate change marketing than they do about actual ‘science’. 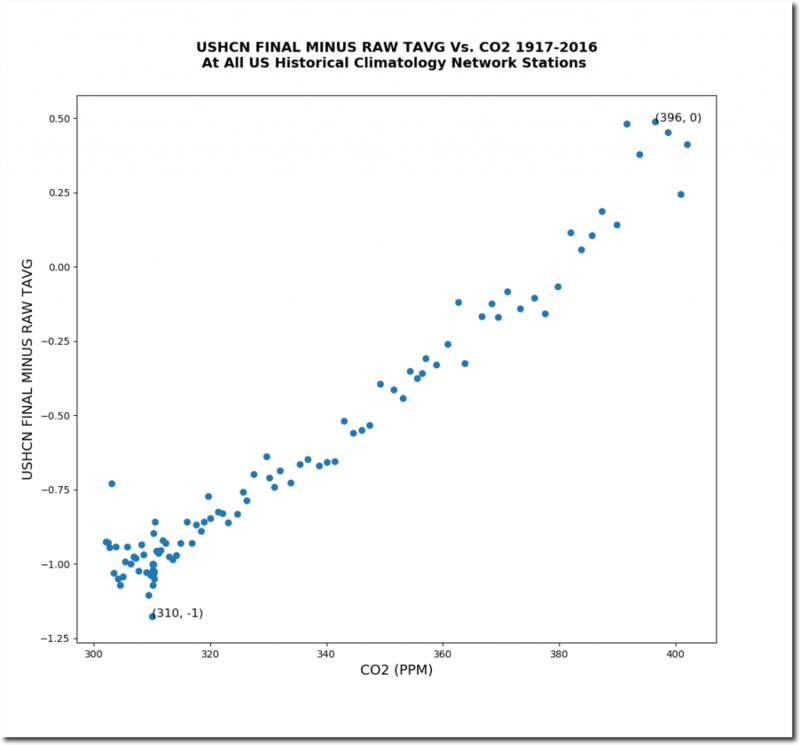 The National Climate Assessment claims unambiguous warming globally and in the US since 1880. 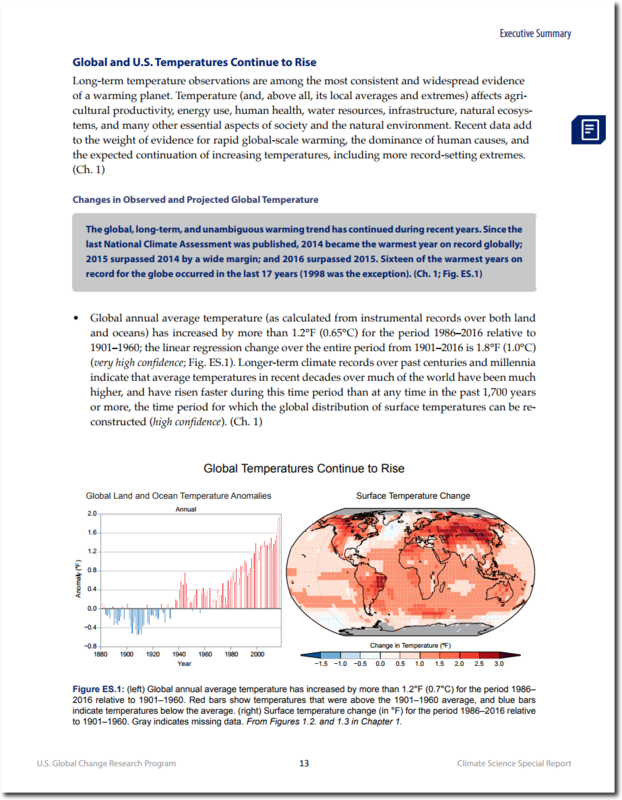 They show a very detailed graph and map which expresses the claimed warming. All that red looks pretty scary. Red is the color of fire, and it isn’t hard to convince some people that their carbon sins will lead to hell fire. What they aren’t telling is that their graph and map are fake. 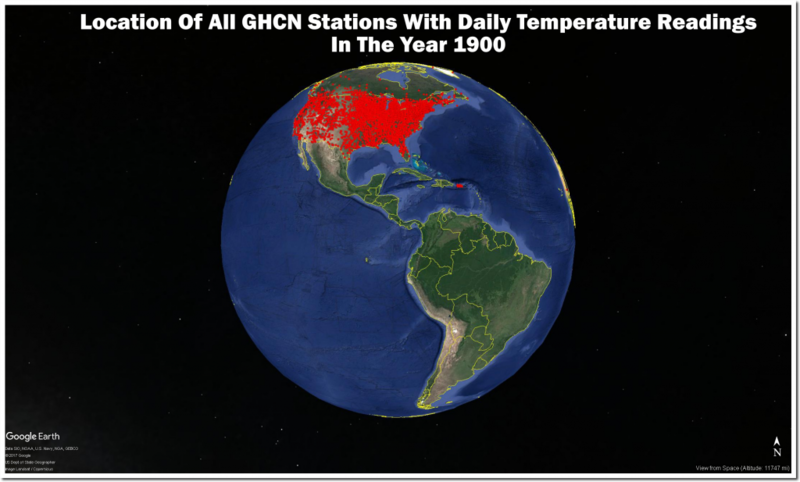 They have no idea what global temperatures were in 1880, 1900, 1920, 1940, or in fact the present, because outside of the US there is very little verifiable data. As late as 1940, there was almost no daily coverage of South America or Africa. 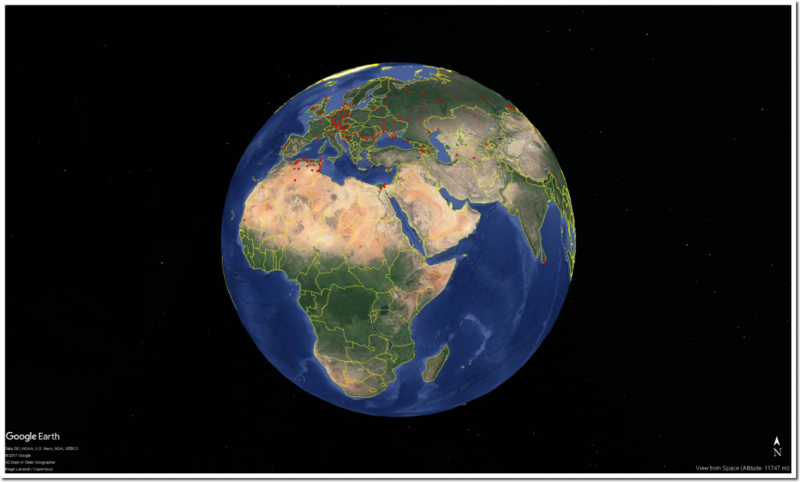 NOAA’s current data in Africa and much of the rest of the world is still fake. 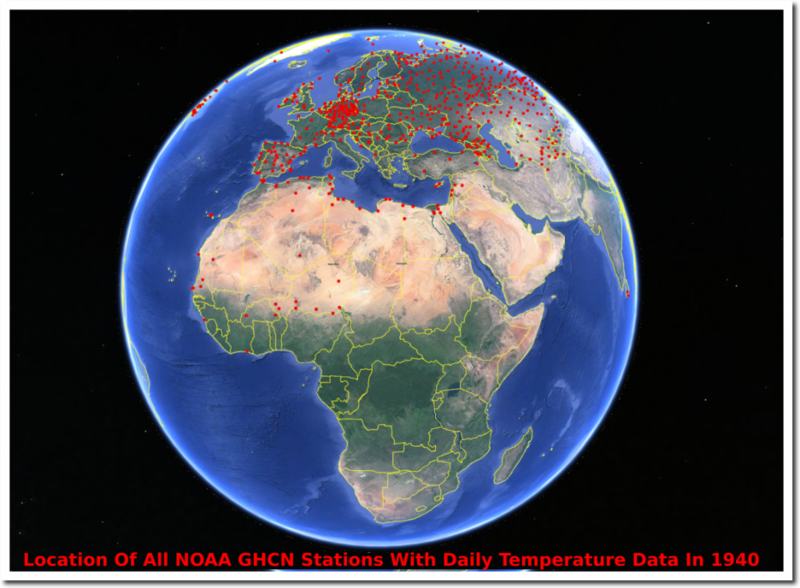 They make up record temperatures in countries where they have no thermometer data. 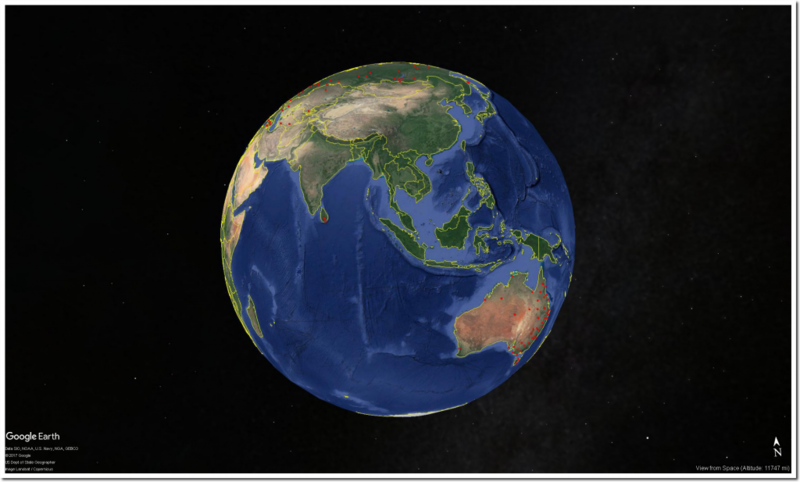 By their own admission, the ocean data is also fake. we didn’t have much ship data in the past. For much of the SH between 40 and 60S the normals are mostly made up as there is very little ship data there. 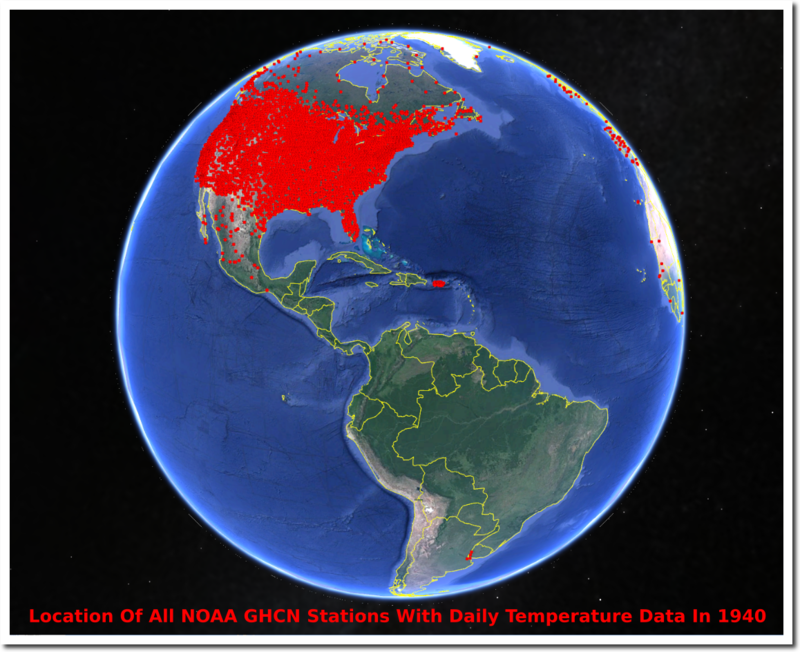 The only location on Earth with good long term daily temperature data in the US. 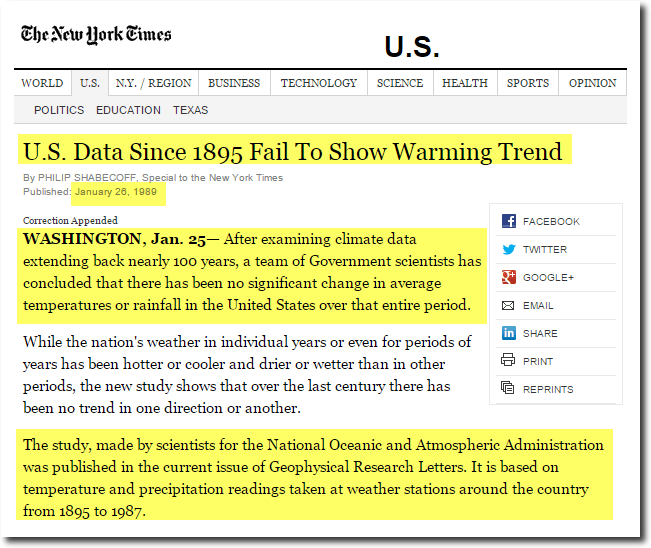 Before NOAA tampers with their data, the US shows no warming over the past century. 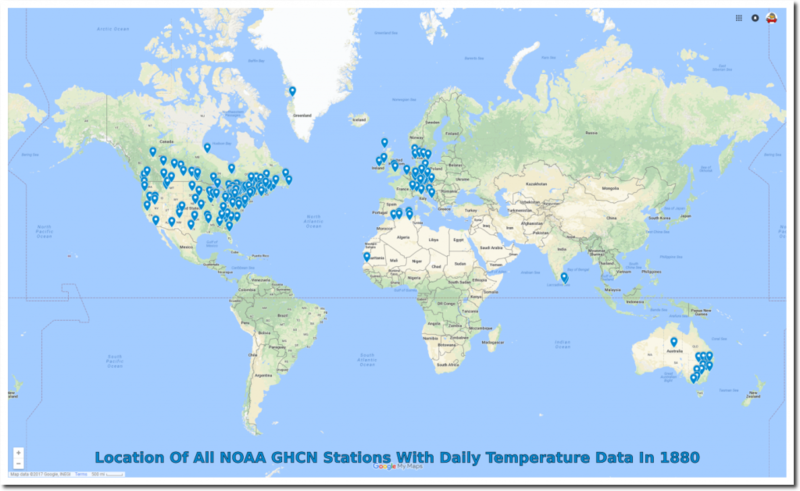 The lack of US warming wrecks global warming theory, so NOAA and NASA tamper with their own data to create fake warming. 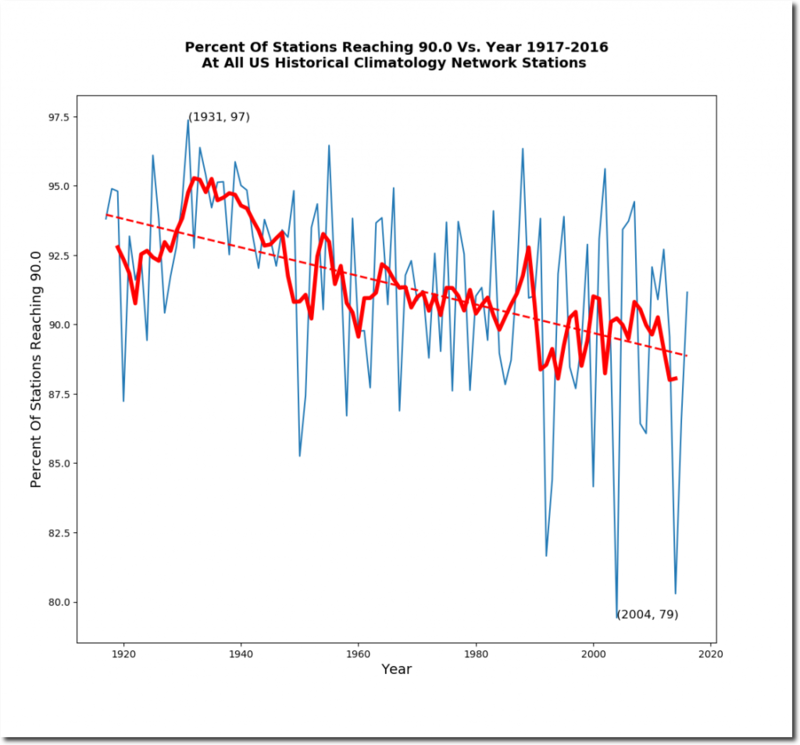 The frequency and coverage of hot weather has plummeted in the US over the past century. 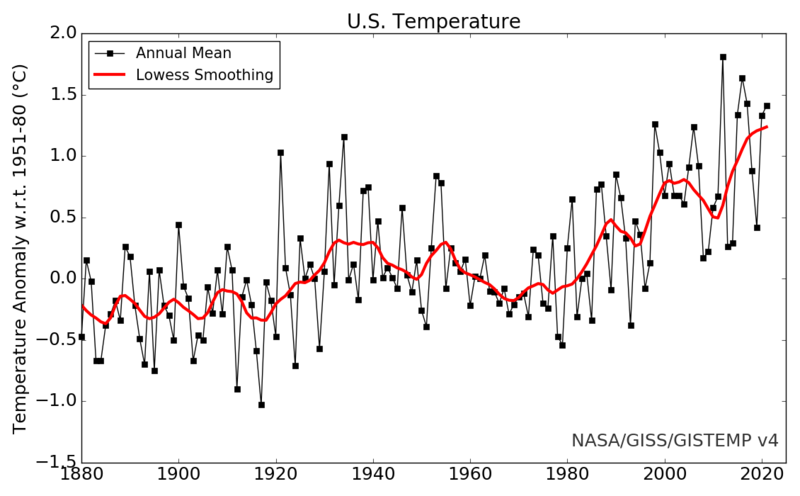 The US isn’t getting hotter – afternoons are getting cooler. 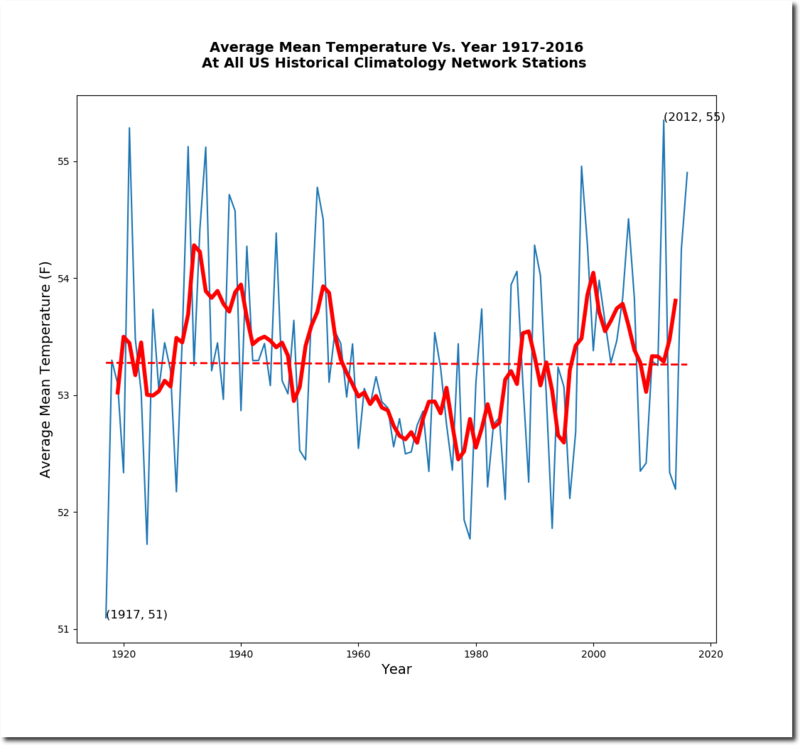 The US temperature data is tampered with by NOAA in a massive hockey stick. Which is designed to bring the data precisely in line with CO2 theory. NOAA knows perfectly well that the US is not warming. 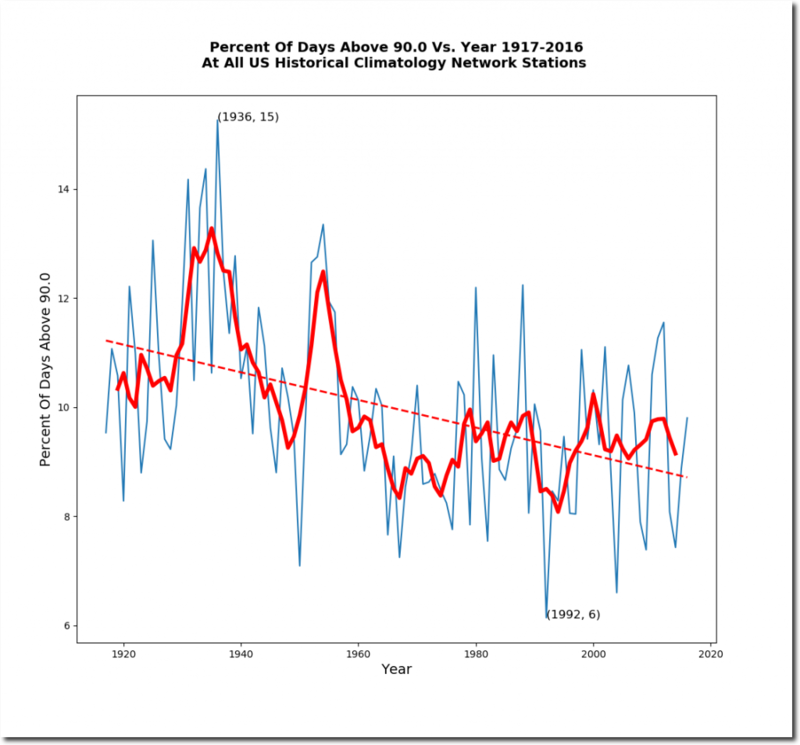 US and global temperatures are constantly being tampered with to cool the past and warm the present. 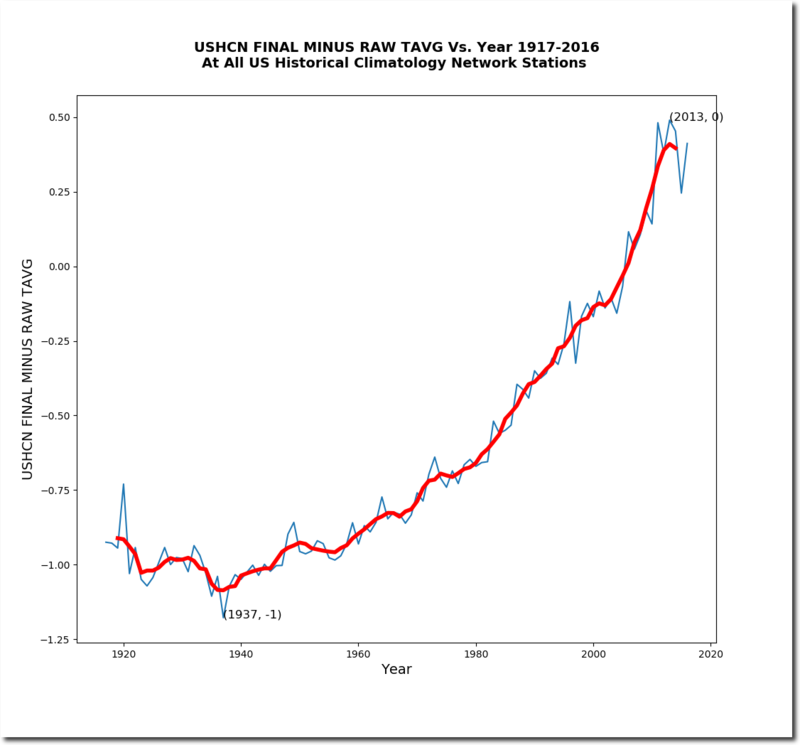 All of the claims in the National Climate Assessment about global warming are unsupportable junk science, made largely with fraudulent or imaginary data. 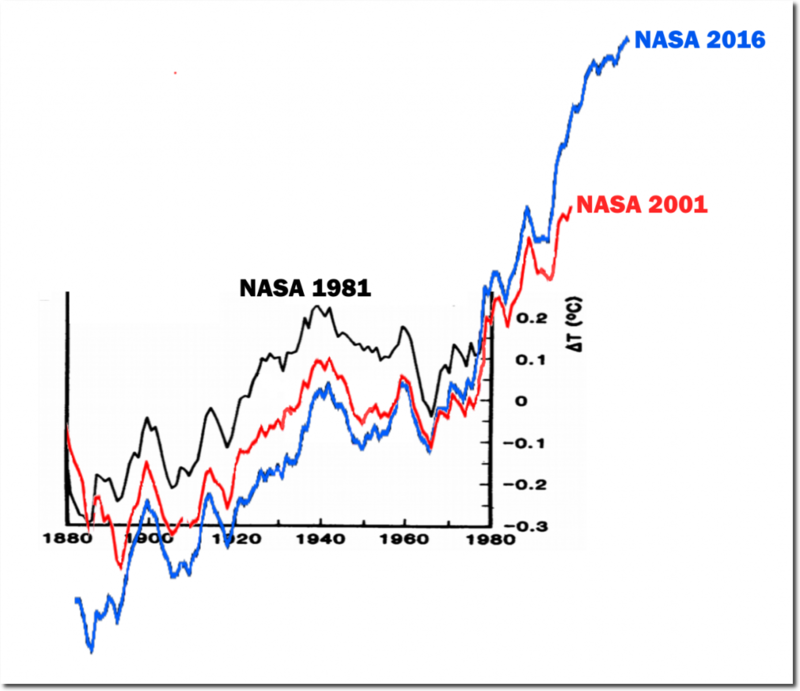 Global warming is the biggest scam in science history. It has been thoroughly corrupted by tens of billions of dollars of government money – which fake climate scientists refuse to let go of. The only thing global and unambiguous in the National Climate Assessment, is the level of junk science and fraud it represents.